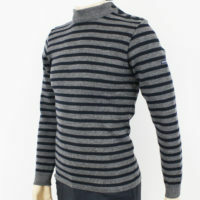 100% wool with rib knit cuffs. 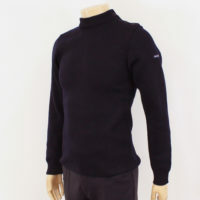 Slim fit with shoulder button fastening. 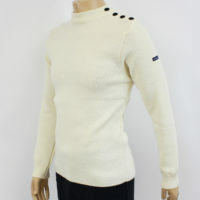 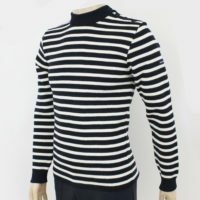 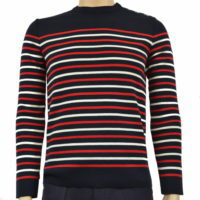 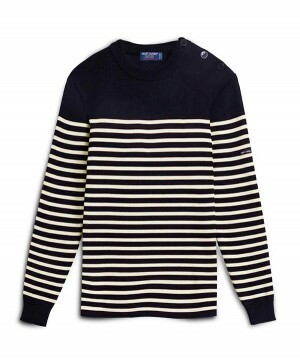 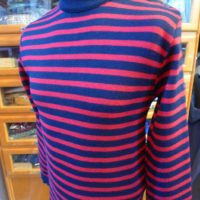 Saint James are the Rolls Royce of Breton jumpers and are cheaper at Jump the Gun, don’t accept any Imitations !